It's not unusual for young children to experience sore gums. This condition can be caused by many factors including a tooth coming in and food impaction. However, if the pain is consistent your child may be at risk for gum disease. Gingivitis (swollen gums) is very common among children and as a parent you need to be aware of the signs that will indicate your child is suffering from the early stages of a gum disease. Acting quickly to reverse gingivitis is essential to prevent progression that can lead to more advanced gum disease (periodontitis). Luckily for parents, the symptoms of sore gums will be pretty obvious. If your child experiences bleeding of the gums while brushing this may be an indication of gingivitis. Other symptoms may include swelling, puffiness and a redness of the gums. You may also notice your child experiencing discomfort when eating certain foods and his gums being sensitive to the touch. Watch for signs that indicate your child is having problems with his gums and also ask if he feels OK or if there is something he wants to tell you. Kids often try to hide pain but when it comes to sore gums the discomfort will often be obvious and something he wants relief for. Before you rush to make an appointment with your pediatric dentist, take a moment to review your child's oral hygiene habits and see if there are steps you can take at home that will relieve sore gums. While gingivitis is common your child may just be suffering from temporary swelling and in this case the condition can be remedied with better brushing and flossing. Brushing twice a day with a soft-bristle toothbrush and using toothpaste that contains fluoride is recommended by most pediatric dentists as well as regular flossing. Removing plaque from the teeth is crucial since if it not brushed off it will harden into tartar which builds at the gum line and forces the gums to pull away from the teeth. 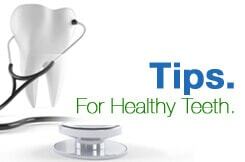 If the soreness persists and symptoms become more prevalent then it is necessary to schedule an appointment with your pediatric dentist so they can perform a thorough cleaning and take a closer look at the condition of the gums to determine if gingivitis is the cause or if the condition is periodontitis.